The Pavilion Gardens is a wonderful, historic venue situated in the heart of Buxton. Nestled in 23 acres of recently restored pleasure gardens, the main building is a natural base for tourists coming to the town. 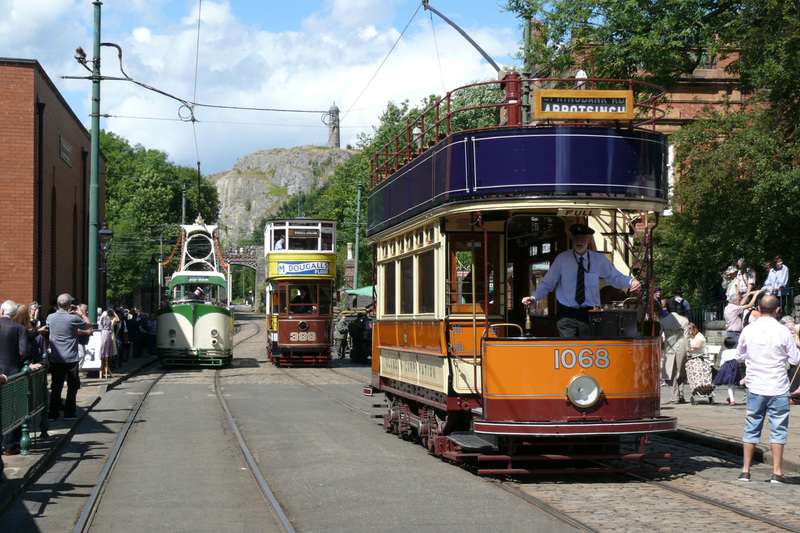 Crich Tramway Village is the home of the National Tramway Museum and offers a great family day out for all ages. Special events are held throughout the year.See website for details. Location: 8 miles from Junct. 28 of M1, also accessed from A38, A6, A61 and A52. Open Times: 10am - 5.30pm (extended times during high season).Winter weekends and Christmas holidays 10am-5pm. Entry: 20% discount for groups of 20 or more. Peak Rail not only offers you a nostalgic train journey but also the opportunity to enjoy the breathtaking scenery of the Derbyshire countryside. Steam trains operate throughout the year. Location: Trains operate from Matlock Riverside Station to Rowsley. Entry: Adult £7.50: Seniors: £6: Child under 3 Free: Child 3-5 £2: Child 6-15 £4: Family: £23. 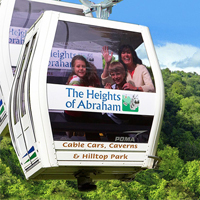 Welcome to one of the Peak District’s oldest and most popular days out, an attraction where stunning natural beauty is matched by human achievement, and the historic blends seamlessly with the futuristic. Dates Open: 11th - 26th Feb 2017 Open Daily: Mar 17 (Weekends only): 27th Mar - 5 Nov 2017 Open Daily. Entry: Group & Schools Rates Available. Coach Driver Benefits. All Entry charges shown on website. An award-winning open farm set in beautiful countryside with rare breeds, walks, picnic areas, tea room and farm shop. Family attractions include animal feeding, egg collecting, pedal tractors and indoor and outdoor play areas. Dates Open: Closed Sundays, Christmas Day, Boxing Day & New Year's Day. Open Times: Farm & Shop.Mon-Sat 10am-5pm.Tea Room Mon-Sat 10am-4.30pm. Situated in the heart of the nation, the National Memorial Arboretum is the UK's centre for remembrance, featuring 50,000 maturing trees and over 200 dedicated memorials. The Arboretum is part of the Royal British Legion family of charities. Dates Open: All year except 25th Dec. Entry: Free Entry. Donations appreciated. Car Parking £3. (Coaches/motorcycles free. Coaches to book. The UK's No.1 Forest Adventure.The classic, original Go Ape experience. We’ll brief you for safety before you fly down zip-wires, leap off our Tarzan Swing and tackle obstacles whilst enjoying some of Britain’s most breathtaking scenery. Dates Open: Weekends in Feb, Mar. Open 23rd March - 30th Oct. daily. Closed Tues & Wed in term time. Open Times: Vary throughout the season from Sat 9th April - 30th Nov. Phone for details. A fine cave displaying the famous Blue John fluerspar, a beautiful, ornamental mineral found only in Castleton. Treak Cliff Cavern is home to eight of fourteen known varieties of Blue John, mined there for centuries. Location: On the A6187 16 miles from Shefield , 29 miles from Manchester. Follow the brown tourist signs. Dates Open: Daily except 24th, 25th & 26th Dec.
Open Times: 10am - 4:15pm Opening at 12 on New Year's Day. Entry: Adults £7.95; Child £4; Student & Senior Citizen £6.95. Family £22. The John Varley narrowboat does 45-minute trips every Sunday afternoon from Tapton Lock. Also available for charters throughout the year. Buffets can be arranged.